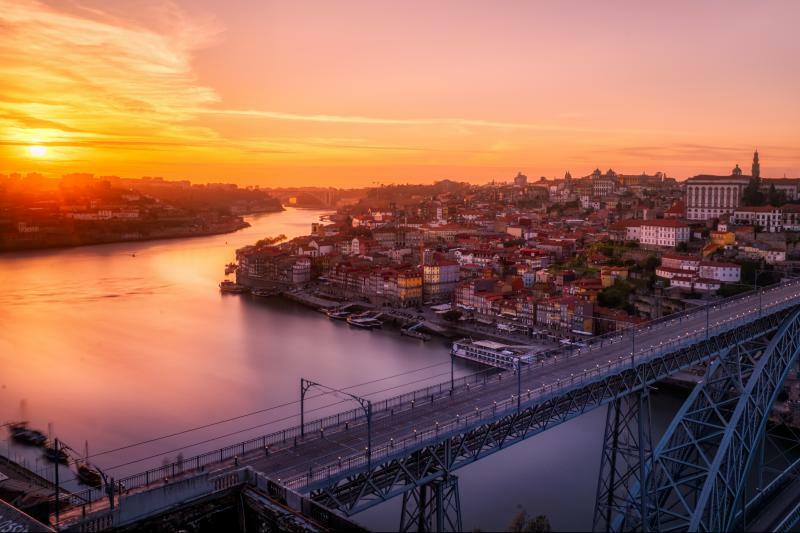 Fall in love with Porto, a city bathed by the beautiful Douro River. Lisbon awaits for you to show you the enchanting colours of its streets. Fátima is the Catholic pilgrimage city. Explore some of the most amazing cities in Portugal from Madrid. Behold the best buildings, monuments, and landscapes that are true landmarks of Porto and Lisbon. Discover Fatima’s religious gems, and many more! Departure from a central location in Madrid at 8.30 a.m. towards to Ávila. A city that preserves its medieval wall. Shortstop to know its walled and old town. Then to Salamanca. Free time in this University City World Heritage. Departure to the Portuguese border until you reach Porto. Accommodation. Breakfast. Panoramic sightseeing tour of Porto considered World Heritage city. In the afternoon. Optional visit to a famous winery with tasting of its world-famous “port wine”. Accommodation. Breakfast. Departure to Coimbra. City seat of one of the oldest universities in Europe and the birthplace of Fado. Free time. Then to Fatima. Center of the Christian Faith and World Pilgrimage. Accommodation. Breakfast. Departure to the Batalha Monastery considered a World Heritage place by UNESCO. Continue to the picturesque fishing town of Nazare. Free time and continue to Alcobaça (World Heritage). Accommodation. Optional night tour to attend a show of Fado. Breakfast. Morning sightseeing tour of the ancient Olissipo, drive through its main squares and avenues, Belem Tower, Jeronimos Monastery, Coach Museum, Monument to the Discoverers, Marquis of Pombal Square, Liberty Avenue. Free afternoon to discover Alfama Quarter, with old buildings nested in narrow twisting “Ruas” full of colour housing the genuine “tabernas” where Fado sounds like a missing past. Accommodation. Departure to Cáceres considered as World Heritage place because of the city’s blend of Roman, Islamic, Northern Gothic and Italian Renaissance architecture. Walk through its Plaza Mayor and the Old Town with its famous Medieval Quarter. Continue to Madrid. End of services.